Hobgood Construction Group has been driven by a philosophy of excellence from the very beginning. Since Hobgood Construction’s inception in 1985 to our position today as a leading second generation design-build contracting company, we have proven that combining vision, dedication, honesty and hard work creates the ultimate foundation for success. Experience. From our project superintendents and executives to managers and support staff, our team is composed of commercial contracting veterans. Our field operations team alone has more than 100 years experience. Resources. From procuring basic materials to expert trade services, we have the resources to keep the entire process seamless. Reliability. Our team knows how to manage projects to avoid costly delays. Flexibility. We work with your custom needs, whether you require a complete design-build or just reliable, quality construction services. As current managing partners, Kevin Hobgood and Greg Sportsman have overseen steady company growth since assuming leadership in 2003. The pair has amassed an extensive portfolio of diverse commercial projects for a variety of clients. Kevin Hobgood is a second generation developer and contractor with experience in all facets of development and construction. He has developed a reputation for prowess in demographic-based site selection and consulting with clients on investments, and sales and marketing functions. Kevin has a special level of expertise in historical and unique design build projects and custom tenant buildouts. Kevin has a lifetime of experience, having learned at the side of many of Hobgood Construction’s senior superintendents over the past two generations, rising from a young carpenter to a managing partner. Backed by his extensive experience in high-end construction and development projects Greg Sportsman ensures successful projects by managing development concepts, and overseeing land acquisitions and capital management. Greg is also involved in many of the company’s site development, new construction, and public works projects. Greg holds a Bachelor of Science Degree in Civil Engineering from the Georgia Institute of Technology. Steve Yurchek brings over 35 years of construction expertise to the table at the Hobgood Construction Group. As a former owner of a large construction company and as a large developer, he has built hundreds of millions of dollars’ worth of commercial construction. Steve specializes in site selection, conceptual drawings, assisting in finance along with working with engineers and architects on final designs. We bring our clients turnkey products on time and within budgetary constraints. He will take the mystery out of how to get from A-Z on your development or construction project. Teri Brown is a second generation building professional. She has over 25 years of hands on experience in all aspects of the construction industry including accounting, estimating, planning, office management, permitting, and sales. Productivity is one of her many strong points, with the ability to manage any task or challenge that arises in the ever changing construction field. 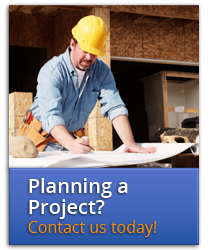 Contact us today to learn how to leverage the expertise of our entire team for the success of your next project.